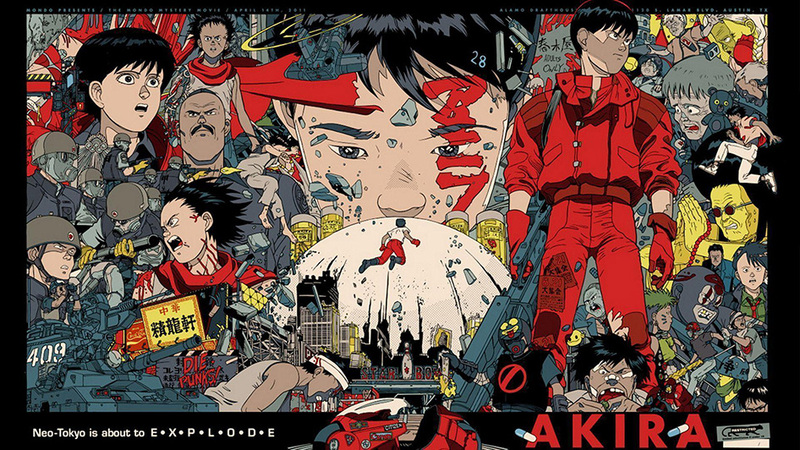 Akira is a landmark of animation and one of the most influential films of all time. Set in a dystopian future, the film follows the story of Kaneda—leader of a biker gang in the futuristic city of Neo-Tokyo. When it was released in 1988, Akira was like nothing the world had seen before. Chaotic, violent and relentlessly kinetic, the film elevated the craft of animation to new heights. 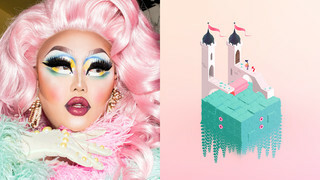 It triggered an explosion of interest in manga, anime and Japanese popular culture throughout the western world, and influenced countless works of animation, comics, film, music, television and video games. 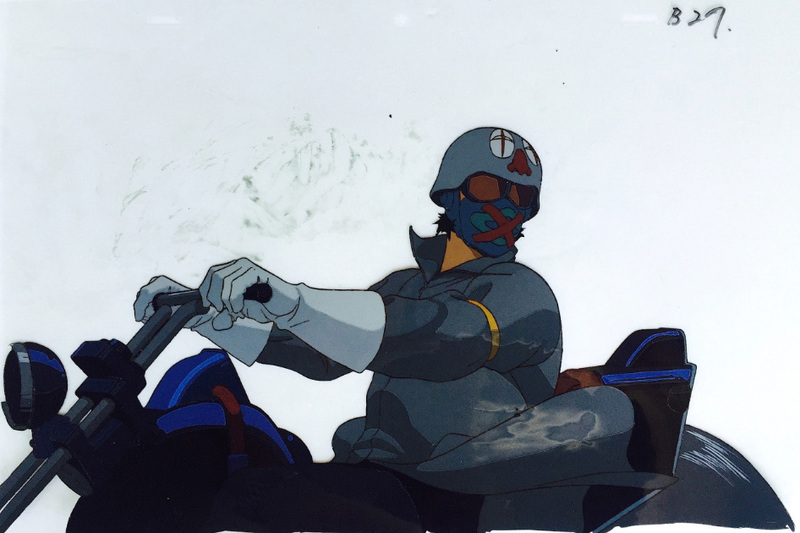 Two layered cels and a background from the film. 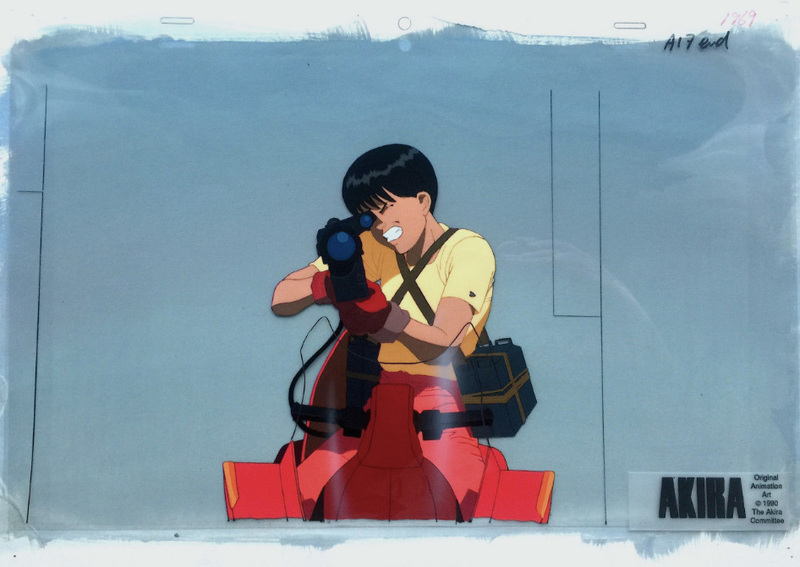 But like many great masterpieces, Akira came from humble beginnings. Before it was a ground-breaking film, Akira was a simple black and white comic—and its creator Katsuhiro Otomo had no expectations it would become anything more. A panel from the original manga. Otomo’s low expectations extended to the film as well. 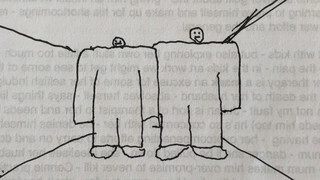 Every one of the 172,000 frames of the film was hand drawn. 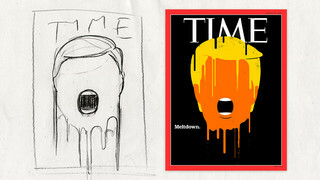 As these early pencil tests show, speed and dynamism were key to its aesthetic. Because each scene featured multiple layers of animation the studio assembled a team of 68 key animators to bring the ambitious story to life. Many of the films scenes were made up of several layers which were animated independently. Working with a team of this size required some adjustments for the unassuming Otomo. Akira’s world was unique, but it was also deeply rooted in reality. 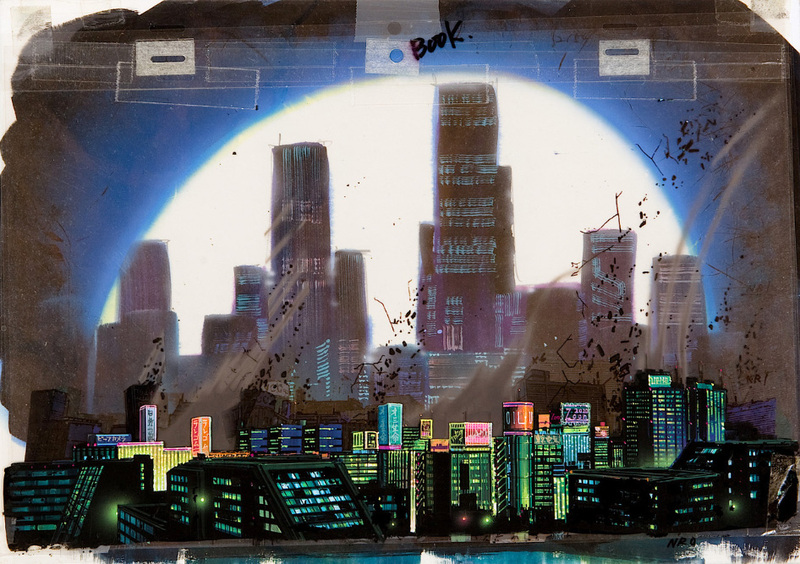 A background depiction of Neo Tokyo. This environment was also heavily inspired by Moebius, the French creator of sci-fi comics like the Silver Surfer who also produced concept art for Alien, The Fifth Element and The Abyss. 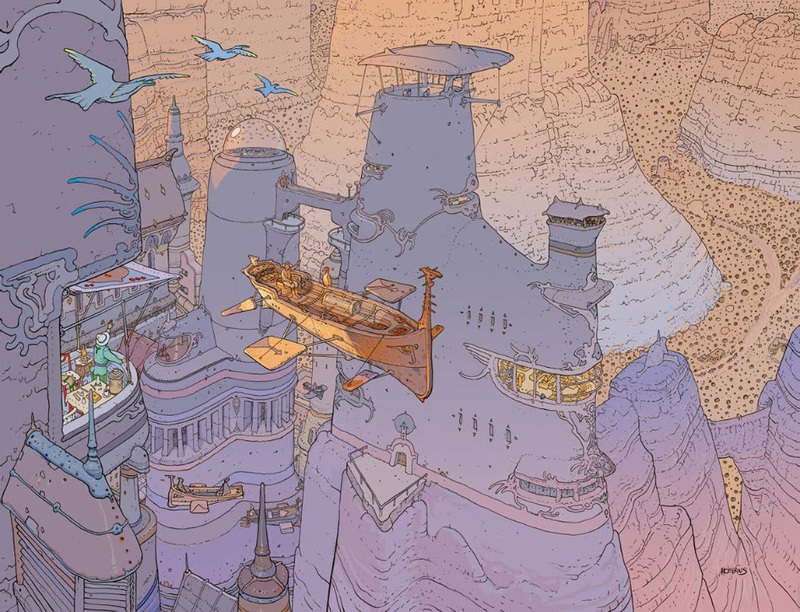 Voyage d’Hermès by Moebius, one of the artists who inspired Akira. Other contemporary sci-fi was also an inspiration. A "lightcycle" from the movie Tron. 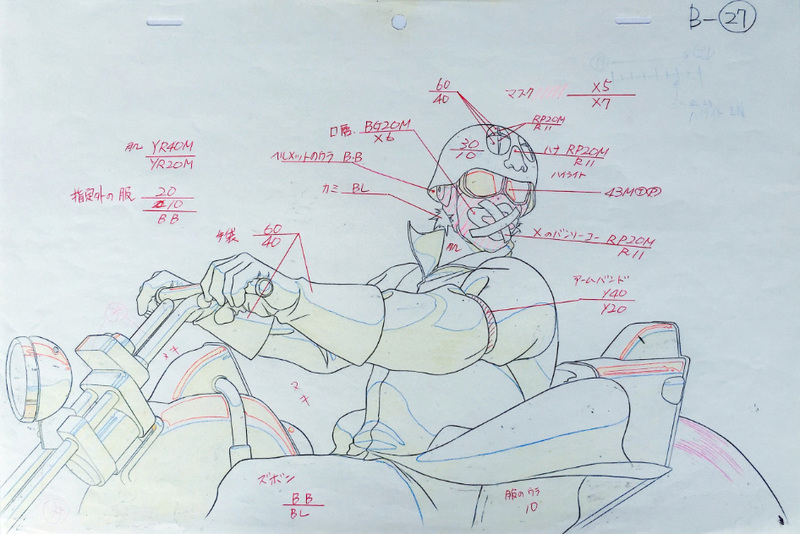 An early sketch of Kaneda's bike in Akira. Unlike typical manga which exaggerates the size of eyes, the characters in Akira had much more “normal” features. Left: Goku from Dragonball-Z. 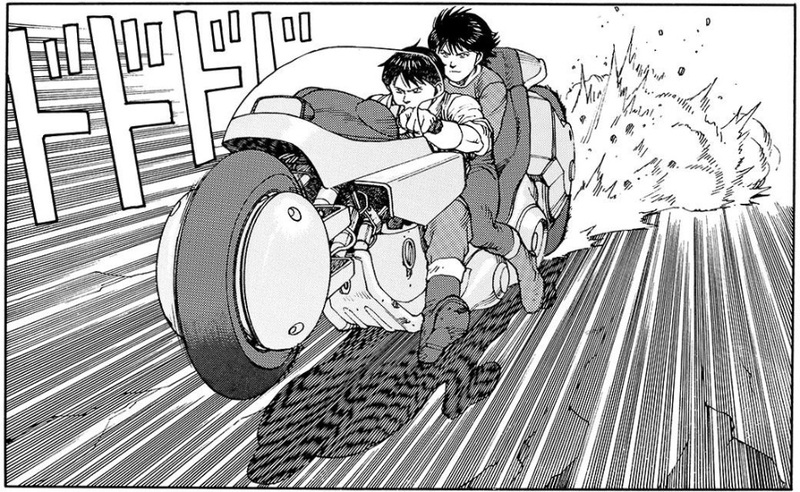 Right: Kaneda from Akira. 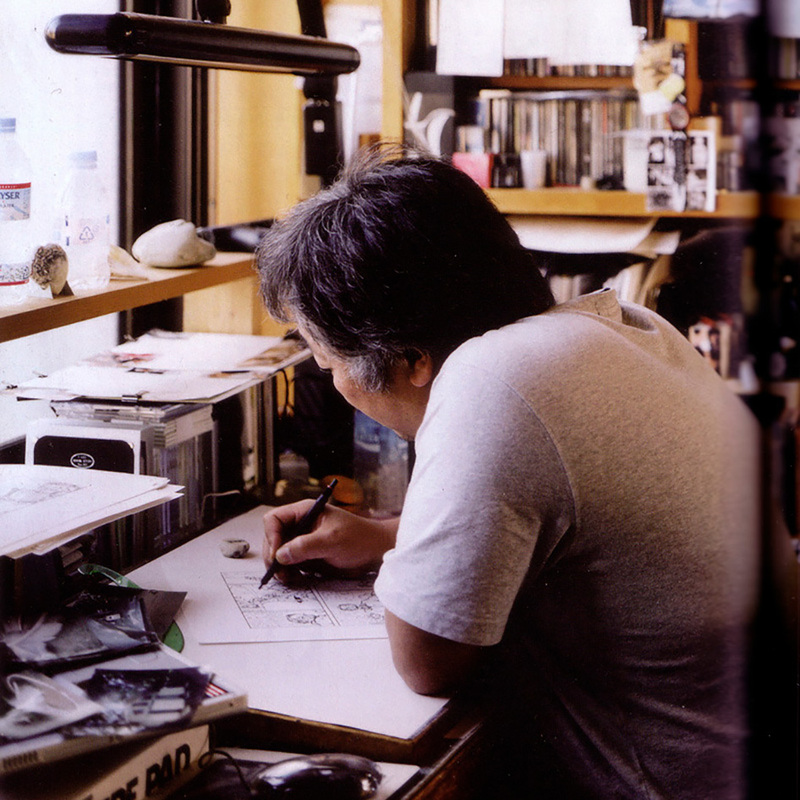 Katsuhiro Otomo in his studio. Despite his success, Otomo remains unconcerned about his legacy.